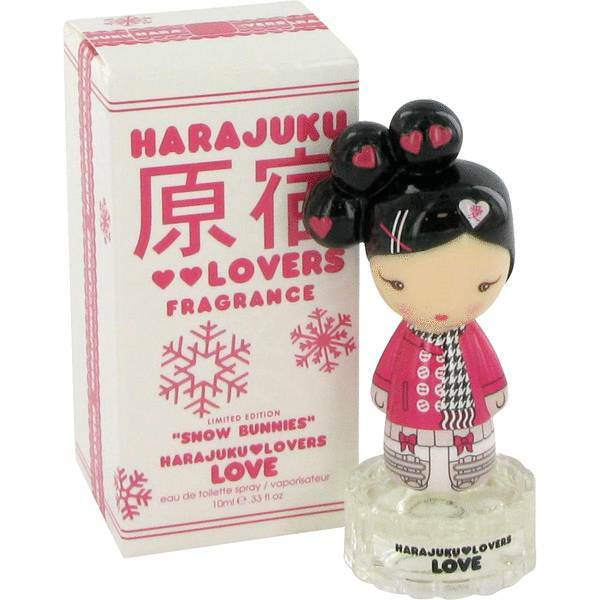 Harajuku Lovers Snow Bunnies Love Perfume by Gwen Stefani, Harajuku Lovers Snow Bunnies Love is a fruity and floral fragrance for women by Gwen Stefani. Introduced in 2009, it is ideal for a woman who wants to emphasize her love of fun and her youthful spirit. The fragrance opens with fruity notes of grapefruit, bergamot and peach. Then come the heady floral heart notes of rose, peony, jasmine and narcissus. Finally, hints of the base note vanilla give the perfume its sweet, slightly spicy Read More Read More finish.